The Easiest Ways To Declutter Your Home | Murphy Bed Solutions Gallery | Lancaster Handcraft, LLC. 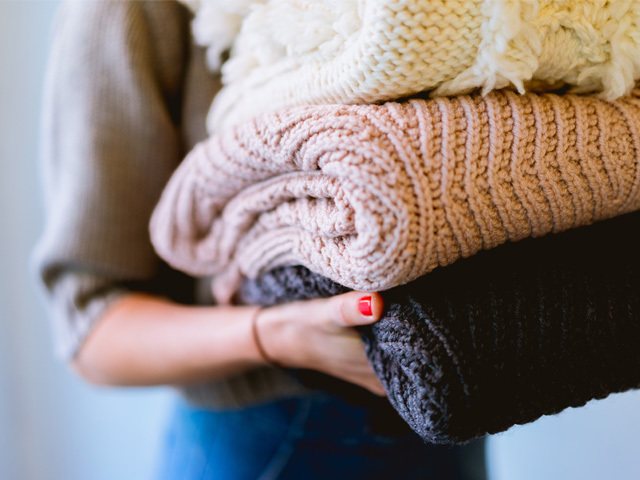 Decluttering seems to be all the rage, especially this time of year when the holidays are over and the long, cold winter is bearing down on us. Hibernation and simplification go hand-in-hand, so we’re here to help you with how to pare down. Before you start to dejunk your household a family meeting and come up with a game plan. Above all, don’t sell, donate, or trash anything that doesn’t belong to you without that person’s permission first. Once you have a plan, buy several bins to help with sorting. The easiest way to declutter may seem extreme, but it’s by far the most effective. Instead of wading through piles of “stuff” trying to figure out what to keep and what to let go, empty the room entirely before you begin. Once the room is empty, give it a deep clean and repair/paint any damaged spots on the walls. Finally, only bring what you want to keep back into the room and whatever’s left over, goes. Don’t just throw their everything you don’t want away. Sell, or donate, any salvageable item to charity. Use the money you make from sold items to purchase more organizational tools or spend it on an experience. Most of us have multiple free-standing closets stationed throughout our homes. Many are catch-alls that house plenty of unwanted items. Treat each closet like a small room and follow the aforementioned steps to get them in order once and for all. Not that you’ve freed up all this space, you may feel at liberty to bring a wide array of fresh, new material items back into your home. Resist the temptation and follow the one/one rule. For every new item you bring in, donate, sell, or trash one you already have. With some planning and hard work, your house will soon feel lighter and calmer, and you will too!